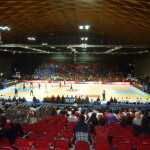 The assembled Dalla Riva Sportfloors are increasingly monopolizing the most important sporting events of the indoor Peninsula. 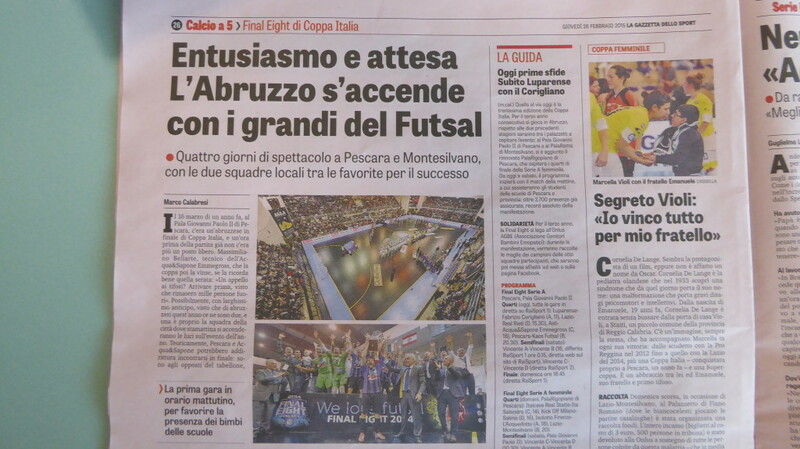 As illustrated by a detailed article published in today’s edition of “La Gazzetta dello Sport”, from morning until next Sunday morning, the “Pala Giovanni Paolo II” of Pescara, is going to stage the “Cup Final Eight Italian football to 5 “. The field of play is the now famed “Black Futsal”, parquet flooring in black tint appreciated all over the continent. The event, which take part in law Luparense, Corigliano, Kaos, Pescara, Asti, Lazio, Real Rieti and Acqua & Sapone, will be fully covered by Raisport with the airing of the races live. From 6 to 8 March, in the halls of “Rimini Exhibition” will be the time of “RNB Basketball Festival”, another highly anticipated event, this time dedicated to the world of the ball into wedges. Even in this case will be assigned to the Italian Cup formations belonging championships serious A2, B and C.
As with the previous edition, the company from Veneto Region leader in flooring for sports and official supplier of the National Basketball League, will present a system of removable wood sports floor of the latest generation. 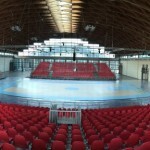 Once again, demonstrating that the parquet Dalla Riva made in Montebelluna can withstand any kind of arduous activities, ensuring maximum performance, from tomorrow, February 27 until March 1, at the sports hall of Terdoppio in Novara City, will be interesting to follow the “Italian Championships speed skating indoor”. The event will be televised on a delayed RaiSport2 on March 9. It is not the first time that the provincial capital of Piedmont hosts skating events: the characteristics of the wooden surface with brand DR, embellished with a treatment “skating”, in fact, favor the best performance this exciting discipline can give.